With the release of Configurator 3, I'll be hard at work updating the Forensic Photoshop Configurator Panel to version 3. It'll be uploaded to the book's secure site soon (version 1 [CS4] and 2 [CS5] are still available). If you've captured video, processed it in Photoshop CS6, and are concerned with compression and aspect ratio ... there's good news. 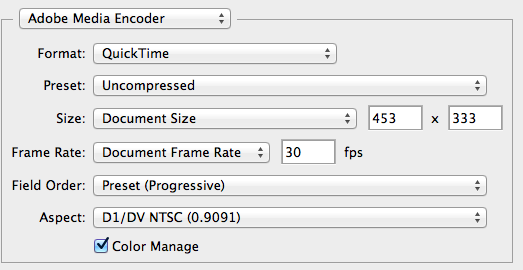 In Photoshop CS6, the new export tie-in with Adobe Media Encoder makes it simple to export video. All of your controls are right there on the same screen. No more having to dive deep for compression and aspect presets. I get a lot of Photoshop questions, either as comments or via e-mail. Most folks fail to include the version of Photoshop they use. Regardless, expectations are that I can help. So ... I've got to keep most versions loaded and ready to go. 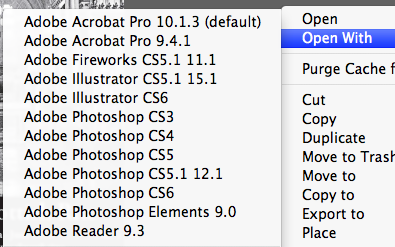 Additionally, plug-ins like OptiPix work in CS3, others in CS4, most in CS5 - but few in CS6 (yet). When I'm on the road training folks, it's nice to be able to show them in the version that they use at work. 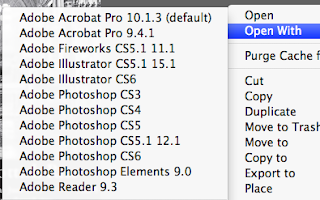 After all, what's the point of showing CS6 when the class is still stuck with CS3? Sure, they can see all the new stuff, but if their agency is broke, they'll still want to be effective within their status quo. This just in from the Independent.ie: "... Police photographer Sutish Sharma Jeetwooth faced tough cross-examination from the defence team as they probed the thoroughness of his work documenting the scene. Michaela's brutal killing was the first murder case the young photographer had worked on. He was called upon the day she died, first to photograph her body, laid down beside the bath, and then the hotel room. In subsequent weeks he was called again to take pictures of reconstructions in the room. The defence lawyer asked why he hadn't photographed CCTV cameras near Michaela's room or the sand on the beachfront outside in case there were footprints. In all cases he said he photographed only what his superior officer told him to. Counsel for Avinash Treebhoowoon, Ravi Rutnah, asked: "You don't use your technical expertise to take other pictures you deem necessary?" He also asked: "Do you think in this modern era black-and-white pictures are less likely to assist an investigation than colour?" to which he replied: "I can't say." Black and white or not, the images are a glimpse into the horror that greeted the young husband who found his wife dead during a honeymoon that was, as the prosecutor put it, so "brutally interrupted." DPX (Digital Picture Exchange) format is designed primarily for frame sequences that you plan to incorporate into professional video projects using an editor such as Adobe Premiere Pro. H.264 (MPEG-4) format is the most versatile, including presets for high-definition and widescreen video, and output optimized for tablet devices or web delivery. 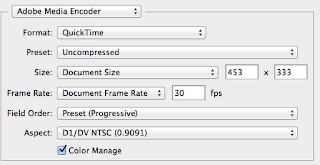 QuickTime (MOV) format is required for export of alpha channels and uncompressed video. The Preset menu provides additional compression options. For the complete list, see Supported file formats in Photoshop CS6." This from Adobe: "The redesigned, clip-based Timeline panel includes transitions and effects that give finished videos professional polish. Easily change clip duration and speed, and apply motion effects to text, still images, and Smart Objects. Note: In Windows, you must install QuickTime separately." California has essentially declared war on images (and reason) - requiring "blind" authentication of images that are used in trial. A simple "that's not me," and off we go down the winding hole. In essence, authentication is on everyone's mind these days. The ruling caught everyone by surprise. The criminal justice system just wasn't ready to dive into this mess. There aren't enough "experts" to go around, there aren't enough commercially available choices to readily perform authentication tasks, and the results ... well, let's just say that people of good will can disagree. Nevertheless, all is not lost. I've seen what's just around the corner and I like what I see. I've been privileged to kick the tyres of some new software, as well as some completely redesigned stuff from a name that you know. I'll break the news when I'm allowed to. I just wanted to say that all is not lost. There's affordable software on the horizon that combines image and video processing, detailed reporting, "forensic" viability, and a good training schedule. All the things that we need to tackle this authentication mess. For the most part, "blind authentication" is a mad man's game. Who can prove a negative? But, if an allegation of forgery is made ... a specific allegation ... then we can test for it. That's what I'm talking about with what's on the horizon. Adobe's Tutorial Builder - a new courtroom presentation tool? With jury boxes full of folks who tweet and Facebook, it's important to present your case in a way that they're used to seeing. Interestingly, Adobe's Tutorial Builder can be used to build a movie of your processing of video/images in Photoshop. I'll be working with this a bit more (though it's still in the experimental stage, so I'm not all in yet) now that there's an iPad compatible player. There's an interesting read on the various issues with the new Bicubic Automatic setting in Photoshop CS6 over in the Adobe Forums. I'm not a fan of anything "automatic." So, a little digging is in order. Here's what I found out. This from Photographyuncapped.com: "By just having ‘Bicubic Automatic’ checked in the CS6 preferences, all Photoshop functions will default to Adobe’s best choice for the method. No muss. No fuss. Photoshop will decide the best way forward for you. If you want to override this setting on a case-by-case basis, you still can choose other methods in the Image>Image Size dialog under Resampling Method. And, of course, if you want to change this on a continuing basis, the Preferences can be changed at will." I think I'll stay in control. I'm appreciative of Adobe's efforts to simplify my life ... but ... I'd rather choose the interpolation method. A quick answer to a reader's question about camera model availability in ACR7 can be found at this link. Remember, those that don't upgrade eventually get left behind. Adobe stops supporting past versions of ACR at a certain point determined by their business model. If you have a new camera and an old version of Photoshop - the answer to support questions is generally ... upgrade. In this version of ACR, ACR 7 is not compatible with Photoshop CS5. With today's eventual headlines centered around the Socialist themes of May Day, I thought I'd tackle the death of reason and enter a few musings for the record. A Daubert motion is a motion, raised before or during trial, to exclude the presentation of unqualified evidence to the jury. This is a special case of motion in limine, usually used to exclude the testimony of an expert witness who has no such expertise or used questionable methods to obtain the information. Who gets to determine if the witness is/isn't an expert? The Court in Daubert offered "general observations" of whether proffered evidence was based on the scientific method, although the list was not intended to be used as an exacting checklist: Empirical testing: the theory or technique must be falsifiable, refutable, and testable. Subjected to peer review and publication (yes, those outdated and ancient texts are still valuable as references - who knew?). Known or potential error rate and the existence and maintenance of standards concerning its operation. Whether the theory and technique is generally accepted by a relevant scientific community. With rationality and reason as a guide, mankind has made great strides over the centuries. As regards Daubert, if one seeks to progress science, why not play by the rules. Have a novel idea. Subject the idea to the scientific method. Test it. Improve it. Write it down. Share it with others. Have them repeat your tests. Did they come to the same results? If not, why? If yes ... great. Refine. Test more. Publish ... followed by the inevitable profiteering book tour.